This tiny town located higher up on the slope between Morey-Saint Denis and Vougeot is known for its powerful, yet elegant wines. Its Grand Cru Musigny is legendary. But the town also boasts some Premier Cru wines that are as good or even better than some Grand Cru wines from other towns. Along with Morey-Saint Denis, Chambolle-Musigny is the only town that shares a Grand Cru red with another town. 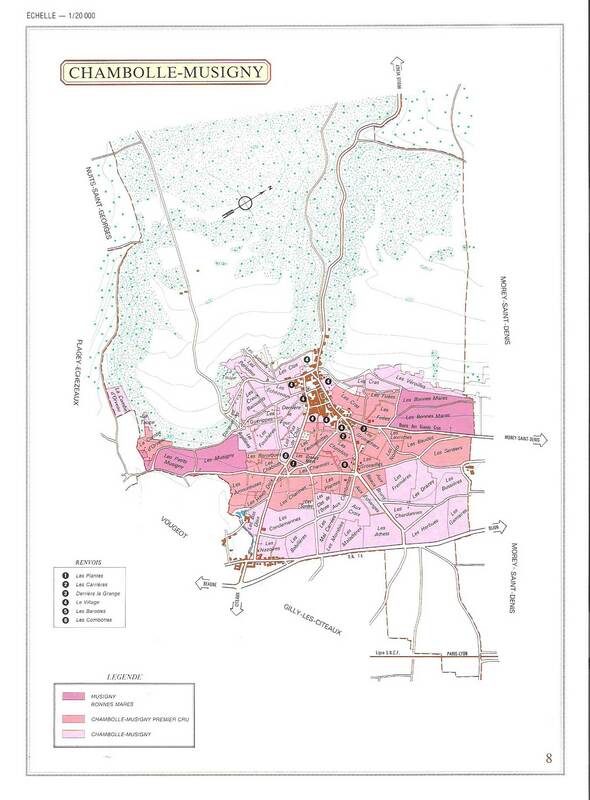 The sought-after Bonnes Mares Grand Cru vineyard is mostly located in Chambolle-Musigny, but a small part of it is also located in Morey-Saint Denis, Chambolle’s neighbor to the north. We have 2 winemakers who make incredible wines from Chambolle-Musigny. Both make fine examples of the great Chambolle-Musigny Premier Cru wines. And one also makes a stunning village level wine. Please call us to learn more about our Chambolle-Musigny Wines and their availability.